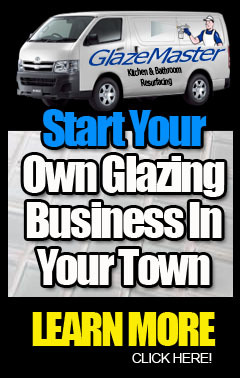 GlazeMaster Client Testimonials & Reviews! 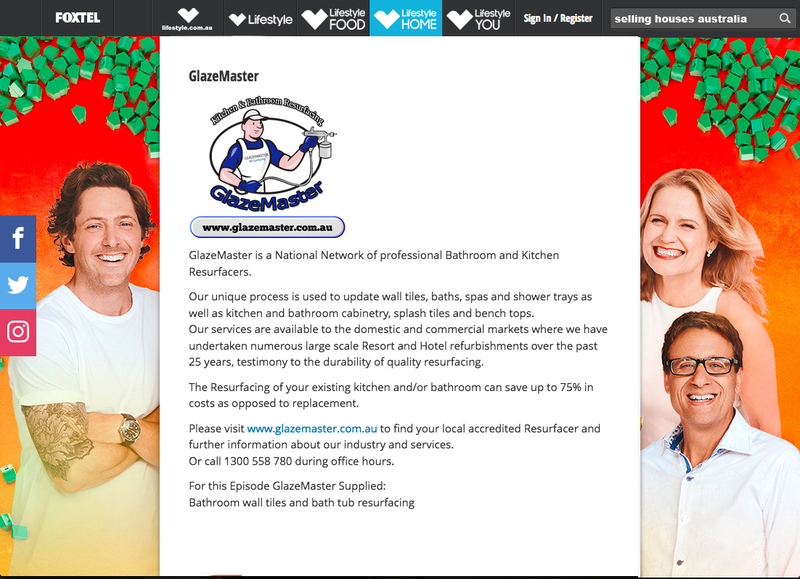 I am pleased to write this reference for GlazeMaster who have recently completed an extensive bathroom and laundry renovation at our property. From first contact to last, they were professional and efficient. They quoted promptly and scheduled our job at the first available slot and arrived on time and proceeded to be meticulous in the preparation of the areas to be sprayed. 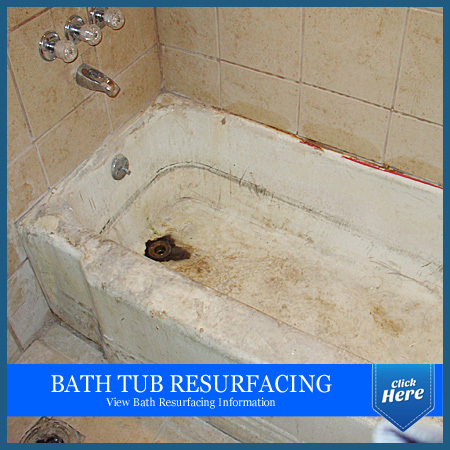 Only once the extensive prep work had been completed, they began spraying our bathroom and laundry cabinetry and tiles. The spraying was done with great attention to detail and careful precision. 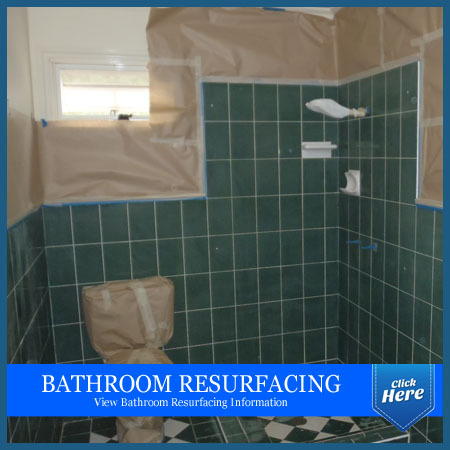 GlazeMaster was able to transform severely water damaged cabinetry to good as new, our bathroom tiles which were dated and tired, were also given a miraculous facelift. We now have three bathrooms and a laundry that have been updated and been given a fresh new look at a fraction of the cost of new tiles and new cabinetry. 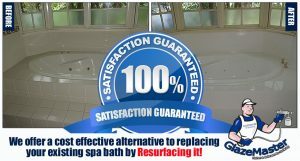 I can highly recommend GlazeMaster to reglaze your tiles, baths and cabinetry. I am sure you will be as happy as we are, with your results. Many thanks for a fabulous job and equally impressive customer service. As our townhouse was getting old, the bathrooms and kitchen were starting to look tired. Every time we look at them, it was quite depressing. However, the kitchen cabinets were still in good condition, just not so modern. So when we found the ‘resurfacing’ option, we really liked the idea of not wasting the materials. We contacted the Sydney branch and Leon quickly gave us a quote. Because of all the good reviews we’ve read, we didn’t bother getting more quotes and went ahead with them. Leon and Basil are a couple of hard working people, very polite and flexible to our requirements. The results were stunning – truly brighten up the whole house! We are no longer embarrassed to invite people over. We are truly happy and glad to have this done with GlazeMaster. Thank you. 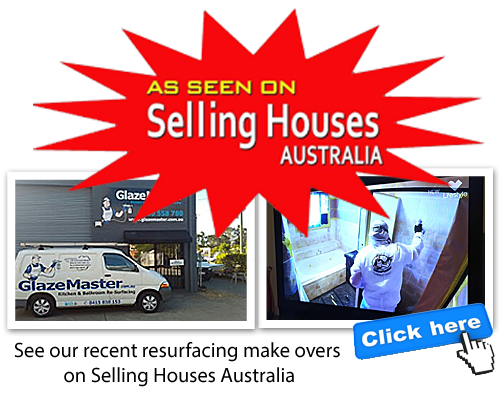 We were recently faced with the daunting and expensive prospect of replacing our dated Tasmanian Oak kitchen and bathrooms. Brief internet research unearthed GlazeMaster and their unique resurfacing option. After watching a video of the process and an extensive and enlightening consultation with owner Guy, we made the decision to resurface our kitchen, three bathrooms and our laundry!! One week later we were blessed with what appeared to any outsider to be brand new cupboards and bench tops. The result was absolutely astounding and exceeded all our expectations! The net result was 5 brand new looking rooms at approximately 20% of replacement cost. Guy and his team of technicians were extremely friendly, efficient, courteous and accommodating in all respects. 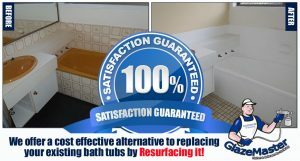 We would have absolutely no reservations whatsoever in recommending Guy and GlazeMaster to anyone considering replacing or updating their kitchens/bathrooms. What a wonderful company to deal with – only surpassed by the magnificent result. 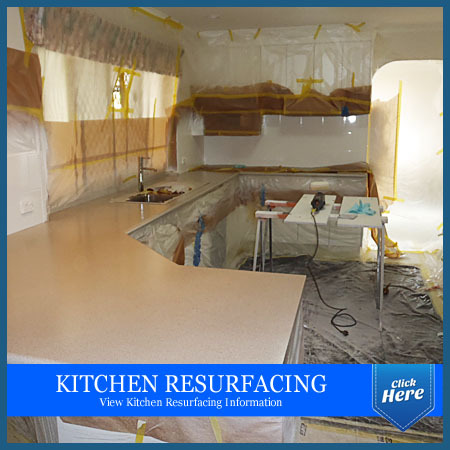 We were more than happy with the outcome of our recently resurfaced kitchen through GlazeMaster! The option to have our kitchen repainted white over installing all new cabinetry was an easy choice when making the cost comparison. The service and finished producted was far better than we expected! 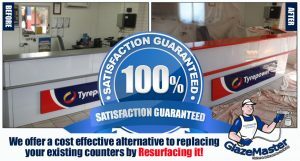 We are more than happy to recommend the service to anyone else considering improving their kitchen. Just a short note to tell you how pleased Linda and I are with the work your firm has done to renovate our kitchen benches. Your tradesman, Drajan, was particularly thorough in all the preparation that he undertook. The actual spray job is better than our expectations. As well, Drajan left the kitchen in a very tidy and clean condition. So thank you very much – a great job at a great price.